Parents should give their babies food with little or no salt to ensure that they don’t grow up with a taste for unhealthy salty food. This is according to the Heart and Stroke Foundation (HSFSA), which warns that excess salt intake is directly associated with raised blood pressure, which can cause strokes and heart attacks. “Healthy eating habits should be reinforced at an early age; during the period that babies and young children are developing their sense of taste and food preferences,” said Professor Pamela Naidoo, CEO Heart and Stroke Foundation (HSFSA). “Adults who are influencing the eating habits of young children, therefore, have the responsibility to ensure low-salt meals are prepared or purchased,” said Naidoo. The World Health Organisation (WHO) recommends limiting salt intake to no more than 5 grams – one teaspoon – per person per day. But South Africans cook with salty ingredients, add extra salt at the table and choose processed foods with hidden salt, resulting in them consuming on average 8.5g of salt per day, according to the foundation. The South African Demographic and Health Survey 2016 reported that 46% of women and 44% of men aged 15 years and older have hypertension, which makes them vulnerable to having a stroke or suffering heart disease. According to HFSA, salt reduction is the simplest and most cost-effective way to help prevent circulatory health conditions. 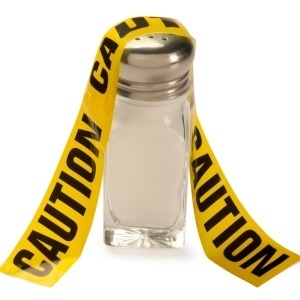 Megan Lee, a registered dietitian with HSFSA said that people become desensitised to the taste of food with high salt exposure. “As you lower your intake of salt, your taste buds will become more attuned to natural, subtle flavours of meals other than just saltiness,” Lee said. In township schools, children are exposed to fast foods like chips and "kotas", which are high in salt. “We are already seeing one in 10 children suffering from high blood pressure in South Africa. A kota alone will provide more salt to a child’s diet than the entire recommendation for the day,” she said. The HSFSA would like to encourage the food industry, including tuck shops in schools and vendors outside schools, to act more responsibly by reducing the salt they add to children’s food and removing salt sachets and shakers from their stands. 1. Cut down gradually. Gradually add less salt to your favourite recipes – your taste buds will soon adapt. 2. Flavour meals. Use herbs, spices, garlic, ginger, chilli and lemon to flavour foods rather than extra salt. 3. Check food labels when shopping to help you identify those lowest in sodium (salt) and look out for the Heart Mark logo which is an endorsement of the HSFSA. 4. Remove the salt shaker. Take salt and salty sauces off the table so that younger family members won’t develop this salty habit. 5. Eat more fruit and vegetables. The minerals in these as well as whole grains, lentils, beans, and low-fat dairy, help to lower blood pressure. Remember to drain and rinse canned vegetables and beans.